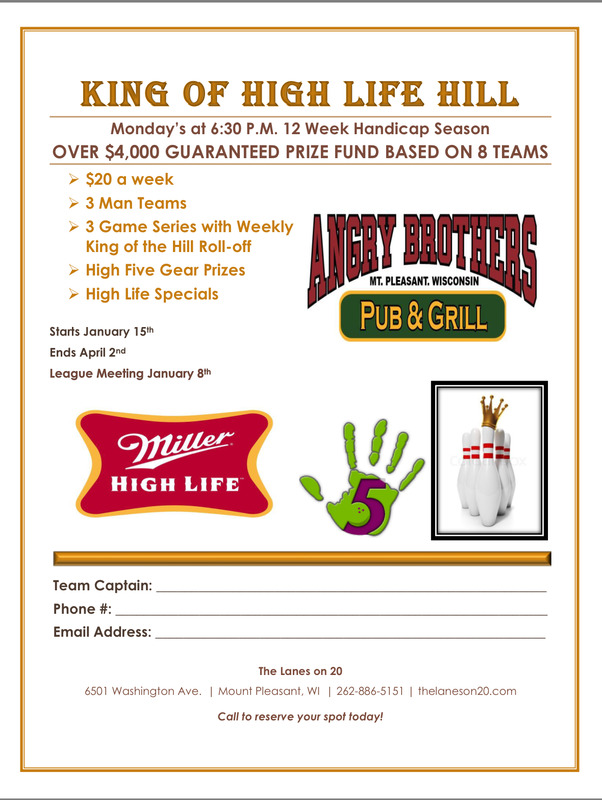 It's never to early to sign up for our second session of our King of the High Life Hill League! Our first short season has been going great. There are a lot of high scores and most importantly $50 winners. Call to reserve your spot today!